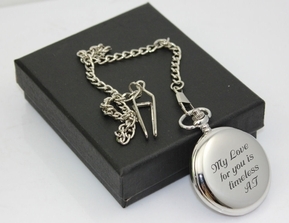 Old Fashion Engraved Silver Pocket Watch Monogrammed for Free with your message. Personalize it for wedding gifts, best men, groomsmen, husband, dad, grandpa, birthday gifts, graduation or any other occasion personalized for that special someone. Engraving on the front or back is free. It is only $5 additional to engrave both sides. We can engrave initials, monograms, dates or small messages, logo. 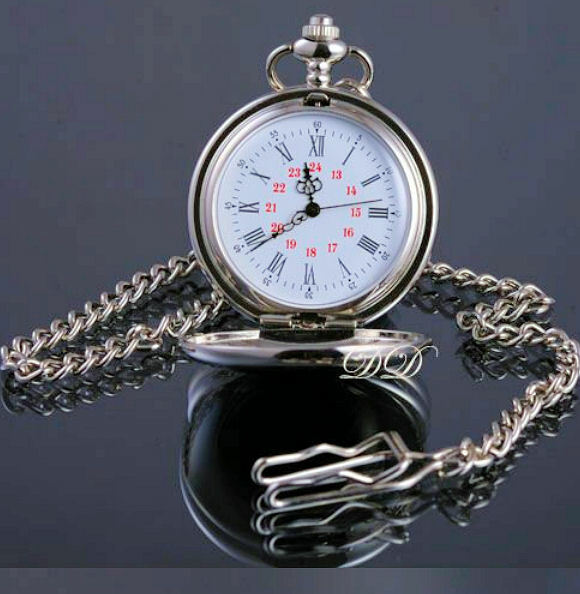 Anything you can think of, personalize this pocket watch the way you see it fit.